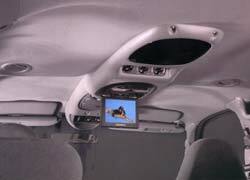 Mobile Video is the latest in vehicle entertainment systems on the market today and Mr. Tunes brings you the best in Mobile Video. Mr. Tunes doesn't stop at bringing you the best in Mobile Video Equipment, we also bring you best selection, expertise and installation. In Jackson, we are the one place to go for your Mobile Video needs!